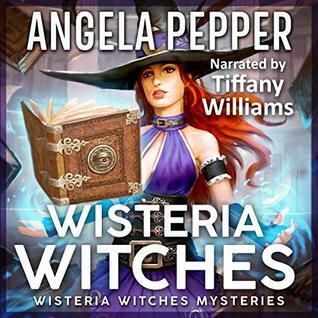 I received an Audible credit from Angela Pepper to get the box set of the first three Wisteria Witches book. However, I’m choosing to review only the first here on the blog. Zara Riddle moves to the town of Wisteria for a dream job as a librarian. She hasn’t even unpacked her moving boxes when she and her teen daughter, Zoey, are swept up in a murder mystery. With all the ghosts and supernatural creatures around (Including a real hunk of a wolf shifter! Meow!) it’s a good thing the Riddle women are tougher than they look. Now, if only they could handle their new witch powers as well as they’ve mastered their sarcastic wit! This didn’t work for me. Though I suspect it is a matter of taste over quality. There are some consistency issues, people knowing things they haven’t been told and such, and I thought the dialogue got too formal at times (especially considering how informal Zara is in general). But for the most part what bothered me wasn’t a matter of the book being bad, but of it being everything I dislike. Calling Zara and her crew Mary-Sues would be an understatement. On the upside, the book is 100% clean, not even a curse word is uttered. On the downside, it means the book lacks any sort of grit. So much so that there is barely any tension. I was just this side of board for all of it. Plus, the book takes a long time to pick up any kind of speed, spending far too much time on dinners and descriptions. (Hope you like adjectives.) Then, once it does, the mystery essentially solves itself off page, leaving the reader out of the action. Lastly, I disliked Tiffany Williams’ narration style. It fit the book really well, actually. And again, the quality is fine. But the places she emphasizes words and her tone, etc, just highlights the overly-sensitive, overtly clean aspect of the book, making all my annoyances stand out even more. Please don’t take the last few paragraphs as my having an issue with clean stories. I just don’t know a better way to describe the feel of it, like it’s been scrubbed of anything interesting and real. I guess that’s my base issue, why people complain about Mary-Sues in general, they don’t feel real. They’re too idealized to relate to and thus feel fake. I actually have the audio boxset of the first three books. I went into them with really high hopes. I’m all about cozy paranormal mysteries right now and the main character even has my same name. When you’re named Zarah, that’s not something you encounter often. I will challenge myself to give the next book a try. Maybe with the world building done the next book will be better for me. I was disappointed with this. But I can 100% see all the things that irritated me so being exactly what another reader will love. To each their own. This entry was posted in book review and tagged audio book, book review, cozy mystery, cozy paranormal mystery, witches on March 12, 2019 by Zarah Robinson. 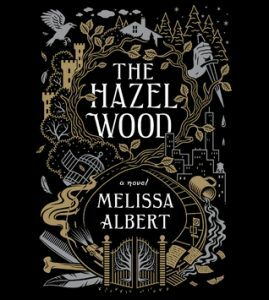 I borrowed an audio copy of Melissa Albert‘s The Hazel Wood through Overdrive. I actually checked this out from the library thinking it was something else. Once I realized my mistake I was wary to start it; I’ve just been so jaded with YA books lately. But I’m happy to report this isn’t an angst-ridden, soppy mess. There’s no real romance and Alice moves through the story of her own volition. I did think it lagged a bit at times and she conveniently hooked up with the one person who knew everything she needed to learn and could/would fund her. But all in all I enjoyed it. There’s some appreciable diversity in the cast a happily ever after grounded in realistic struggles. I don’t regret listening to the story and I thought Rebecca Soler did a fine job with the narration. This entry was posted in book review and tagged audio book, book review, fantasy on September 26, 2018 by Sadie.